Wish there was a place I could complain about the day having a mere 24 hours that rush through us almost unoticed… And I know it seems I have been very very quiet lately. For the time being, I leave you with this latest look, my best wishes of a lovely weekend and the promise that you’ll be hearing a bit about my adventures in a short while ! Ah! Can you please do me a favour and take advantage of each and every lil moment of joy that crosses your path ? Many thanks ! Dress: !STC Bella Red 1 60L Weekend Special! First time I looked at Rodriguez Munro’s flickr stream I just couldn’t keep my eyes away. He’s got this special ability to portraits which capture the essence of the person behind the avatar. That is why I immediately offered myself to reveal a lil secret, only known to those who are closest to me. I am still fighting to be the rainbow I once was. I am still making an effort to actually do something and forcing myself to leave the bed each morning. But I will get there. 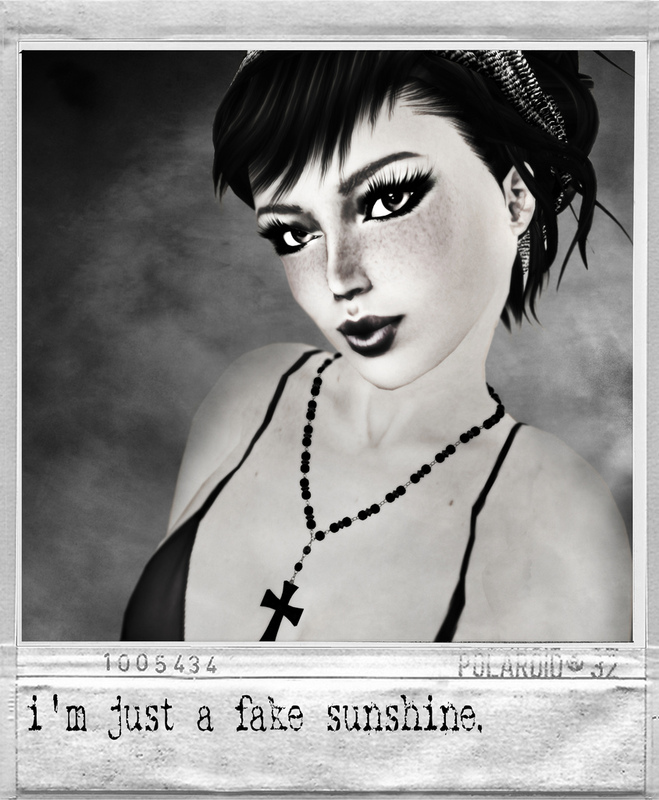 Even if for the moment, I’m just a fake sunshine. It’s been a while. In between work and family, guess I have been sleeping. I have like a decade or so of sleep to catch up, so I am now sleeping for 10 hours in a row… and it looks like I needed that very much. One of these days I might just write a whole post on depression and the burn-out syndrome, but for the moments these are two subjects I try to keep out of this blog. I start to feel people are awaking to the consequences of pushing themselves over the limit, and that would be the reason for me to write it, much more than grumbling about any imaginary or real misery that may have happened to me, lol. Moving forward – a major piece of information. If you’re still not aware of the Spring Bazaar going on, well you should immediately run… I mean, teleport, obviously, lol – well, just go there, ok ? Hope that, like me, you’re able to find all your favourite designers there *winks. Don’t forget to grab all the 1L$ Easter Eggs along the way, most of them are really a catch ! And did I mentioned every items there are 50L$ or less ? I did not ?? Oh my, shame on me! Anyway, that’s how I ended up with two almost similar Scribble outfits, hehehe… Aren’t they simply awesome ? Until there, do yourselves a big favour and enjoy every minute of your lives, deal ? It looks like Alice has left Wonderland for a while a decided to pay me a short visit these days. For one, there is this new Tim Burton movie with my fave actor Johnny Depp which I will surely not miss. Then, my dear friend anjali Insoo who had visited Never Never spotted this very cute outfit at BareRose and thought I might like it (I am trying hard to keep the sim away from the Alice theme, but it keeps coming back over and over, what can I do? lol). She was awfully kind and offered it to me… and you know what ? She was SO right, lol! I totally loved it and spent hours deciding on how to show it, since it not only comes in two colours (purple and red), it also has all sorts of layer options and both a skirt and short pants versions. I finally decided on the purple skirt ensemble, and there you go… only I also had this lovely hair to show off and the rabbit told me he would keep my hat so I trusted him. Hmmm – hope he won’t flee away with it, hehehe. Finally, before I forget, I am again wearing one of Tyranny Designs‘ amazing skins. My current favourites, and yet so many options lacking in my inventory, lol. But I haven’t lost faith and know that bit by bit all the fatpacks will be MINE! Note: anji, I hope you have the outfit as well, ‘cuz I still want to shot that picture of both of us! 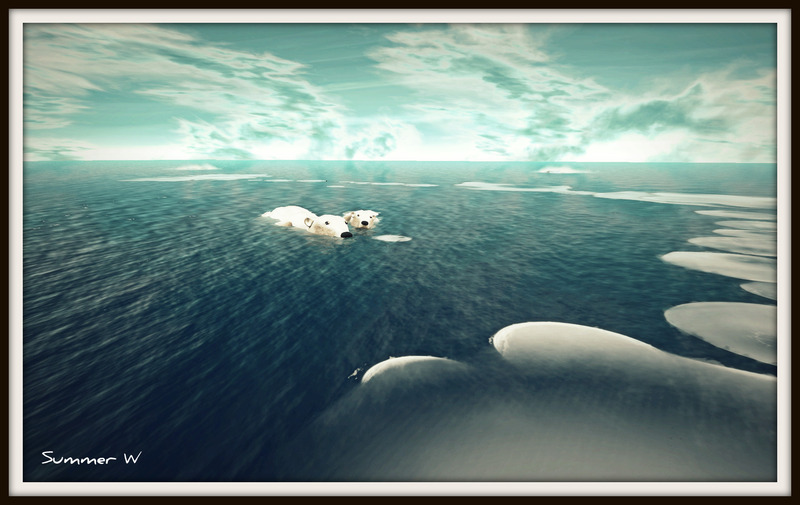 Inspired on the original idea based on First life events, Trace Osterham – a wonderful inworld designer and photographer – decided to launch a similar project for Second Life residents. And the Two Three Six Five was born, which aims at telling short stories and experiences of 365 avatars in the metaverse. I have to admit that I am really excited at start reading the result. I am sure this will be a blast and the project a major success. Can you just imagine having so many different perspectives in just one place ? Reading about funny lil situations, major romances or achievements? 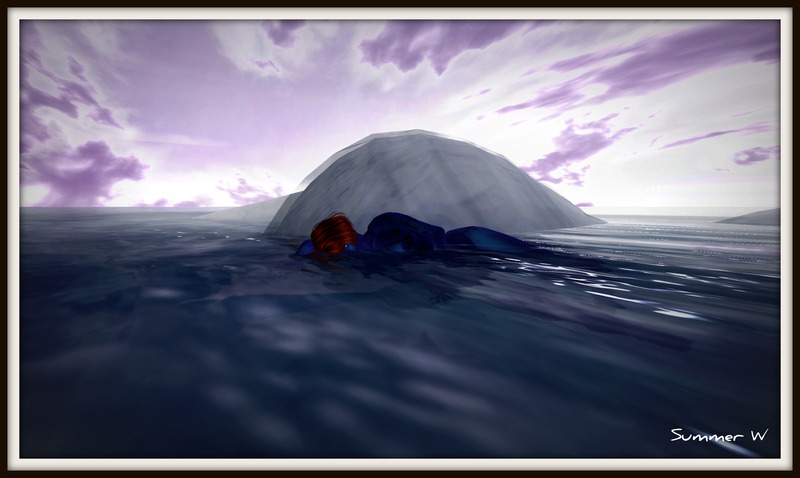 Second Life is such a rich environment that I can barely wonder on the diversity of the stories that can be told. So here’s a challenge. Come and join, bring your own short story and make us laugh, smile, think or even cry if you want to. Check the guidelines and block a date for you. I can’t wait to read your story!